When Should You Throw Away Your Medical Linens? When Should You Throw Away Your Medical Linens? Want to hear something alarming? In the U.S., nearly 90% of all hospital linens never see the end of their useful lifespan. Want to hear something even more alarming? All these losses in linens cost the healthcare industry over $840 million every year. 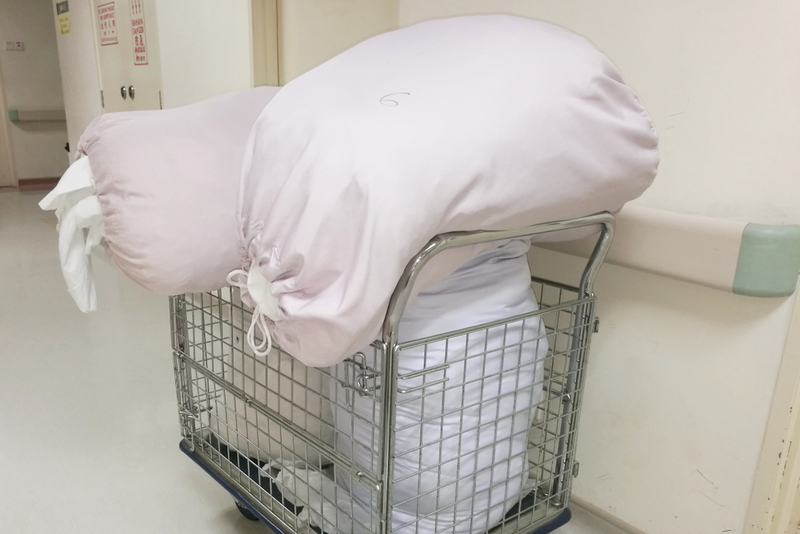 Aside from the large-scale problem of linen misuse and linen theft in the healthcare industry, it has been found that one of the most common reasons for linen loss is throwing still-useful linens into the trash. There is a general misunderstanding of when linens are actually unsalvageable and beyond laundering, and they get immediately thrown out even when they still have a lot of life and use in them. And so we reach this most important question: when is soiled too soiled? To answer this question, let’s get into the basics of identifying and classifying hospital linens. In most cases, linens are sorted into clean and used. And the latter part of this generic binary is where most of the losses occur. There is more than one kind of used linen in the healthcare setup: one that’s ‘soiled’ – ones that are used, and ones that are ‘contaminated’ – with blood, urine, feces, and other bodily fluids. The OSHA mandates that any item contaminated with blood and Other Potentially Infectious Materials (OPIM) should be contained in a red bag. Because of the ‘blood and OPIM’ component of this mandate, many nurses throw away contaminated linens, thinking that they classify as biohazards because they have been tainted with possibly infectious materials. But according to an OSHA clarification on the issue of red bag wastes and contaminated linens, it is clear that linens contaminated with blood and OPIM need not go into red bags and be disposed of the same way other biohazard wastes do as long as they have been properly labeled as contaminated laundry and are processed in accordance to the universal precautions in the handling of all laundry. With proper education and communication within the healthcare facility and the medical linen service provider, hospitals and other healthcare facilities can work on an OSHA-compliant laundry-sorting system that segregates soiled laundry from contaminated laundry and saves a large amount of linens – and cash – in the process. This, then, leads us to our next big question: when do we throw away linens? Throwing away linens should be the last course of action. Instead, healthcare facilities should go for recycling of linens that are deemed too soiled or too damaged to save. To achieve this, every hospital must have its own linen quality control system and team that decides when linens can still be saved by re-laundering or are beyond salvation and should be recycled into rags. This way, every linen in your facility is trashed based only on conservative and consistent across-the-board criteria and none is thrown out before it is ‘fully’ utilized. With education and a reliable medical linen service provider, linen losses can be prevented! Contact Medico today to learn more about our HLAC-certified, hygienically clean practice to help prevent unnecessary losses in your healthcare facility!